A new study of 371 lakes in eastern North America shows that they're getting saltier because of salt used to melt winter snow and ice. Melting snow from roads and parking lots is threatening thousands of lakes in North America. A new study of 371 lakes in eastern North America shows they're getting saltier because of runoff from the salt used to melt winter snow and ice. Canadian Hilary Dugan, a limnologist at the University of Wisconsin-Madison, was lead author of the study. Dugan said the study found that the closer a lake is to roads or parking lots, the greater the threat to the quality of the lake water. Even a small amount of pavement causes salt to run off and seep into the ground and eventually get into the lake. "I really thought you'd have to be in a dense urban environment to see that result, but surprisingly little urban environment impacts these lakes," said Dugan in an interview with CBC News. "You think about driving in rural and remote environments and as you are driving you can see lakes beside the highway, and just the presence of that highway puts those lakes at risk." The study is the largest of its kind so far into the effects of road salt on lakes. It was conducted by 15 researchers who are part of the Global Lake Ecological Observatory Network and published in the Proceedings of the National Academy of Sciences. The study looked at lakes in Connecticut, Maine, Massachusetts, Michigan, Minnesota, New Hampshire, New York, Ontario, Rhode Island, Vermont and Wisconsin. Quebec and the Atlantic provinces were left out because they didn't have enough long-term lake data to be included in the study. The research did not include the Great Lakes, which have already been the subject of multiple studies. 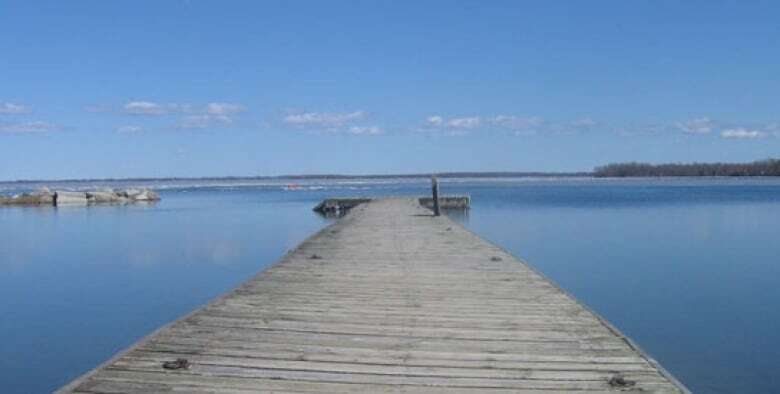 The researchers looked measurements of chloride (salt) levels in lakes that have been collected by federal, provincial and state governments for a least a decade. They compared that data with remote lakes that aren't close to roads. "Almost all of the lakes situated near a major roadway showed long-term increases in chloride concentrations," said Dugan. "When you think about road salt being thrown down on roads or sidewalks or parking lots, once that road salt is applied in the environment, it's not removed. It's either stored in the soil or it's going to be flushed into nearby streams and rivers and lakes." 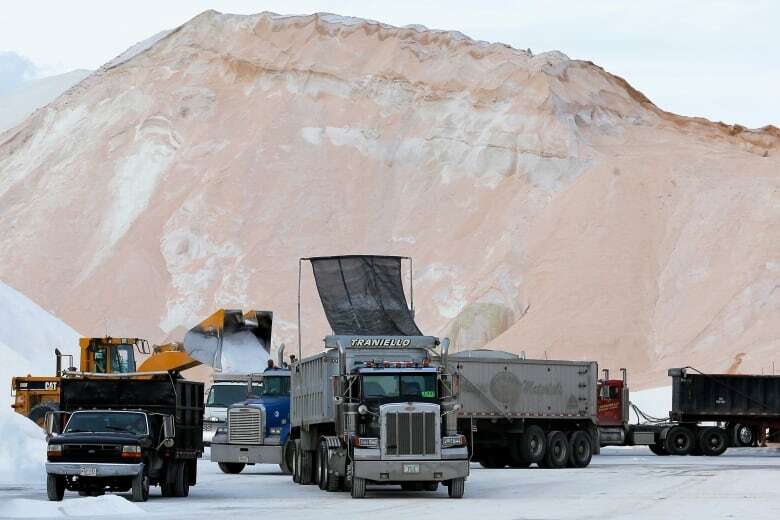 "So any road salt is eventually going to end up in our waters." Dugan points to Ontario's Lake Simcoe as example. In the 1970s, the large lake had a salt concentration of 10 micrograms of chloride per litre of water. It's now 50 micrograms per litre — a fivefold increase. "Lake Simcoe is huge, it covers 750 square kilometres, and so you can imagine that if we are talking about a small lake, one that's only a kilometre or less in area, you can rapidly increase chloride concentration over one hundredfold what its background concentration would be." The study predicted that if the results were extrapolated to all the water bodies in the North American lakes region, about 7,770 would be at serious risk. Saltier lakes can affect the entire water ecosystem, from the fish to the invertebrates they eat to tiny plankton. 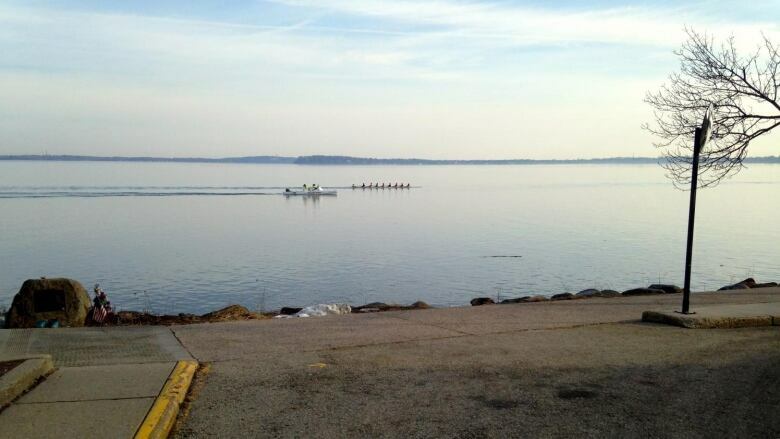 Salt can also make the lake more susceptible to invasive species and harmful forms of algae. Dugan said it takes a lot of salt to kill a lake, but a small amount can make it sick. It's estimated that 23 million tonnes of salt based de-icer are applied to North American roads every year. Environment Canada estimates that between 1½ and four million tonnes are used in Canada every winter, depending on the severity of the weather. Since 2001, Canada has been trying to reduce the use of road salt, installing a voluntary code of best practices to get municipalities and cities to cut down. About three-quarters of all municipalities have adopted the code. For example, Toronto has managed to reduce its use of road salt by 25 per cent. But a lot of people still aren't thinking of alternatives, said Lee Gould, executive director of Smart About Salt, a non-profit group set up to encourage alternatives to winter salt. "It's not uncommon for people to expect bare tarmac in January and February," said Gould in an interview with CBC News. Gould said a lot of private business and shopping malls employ "outdated practices," such as applying salt and chemical de-icers to get rid of snow instead of simply plowing it. He said the key is get people to think about how much salt they're using and when. Dugan said most municipalities are doing a good job of that. The problem is homeowners and private businesses. "In many cases more than 50 per cent of what is applied is actually put down by private citizens and businesses and that is the road salt that you see piling up on sidewalks and parking lots. "So we need to better educate ourselves in understanding that it takes very few salt crystals to effectively melt snow and ice." The study concludes that if the current practices don't change, many lakes in eastern North America will surpass the scientifically recommended safe salt level within 50 years.